Are land surveyor job opportunities growing or declining? How wide is the right of way on a county road? 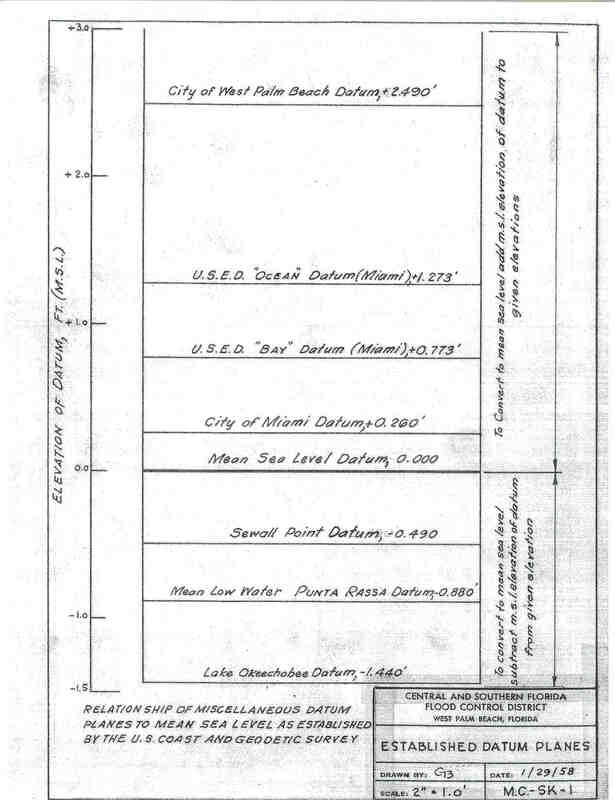 Krome’s Survey of the Railroad mentioned on page 9, I wonder if this is where Krome Avenue came from? This chronicles life in early Orange County. This book talks a little bit about J.O. Fries. Does any one used these anymore? Which on is it “lighterwood” or “light wood”? The CoP Bulletin U-Smart gives you the COE nationwide. American Surveyor - How precise is OPUS? From Don Lanthorne (forwarded by Rick Pryce) this article from the March issue of online version of GPS World Magazine. 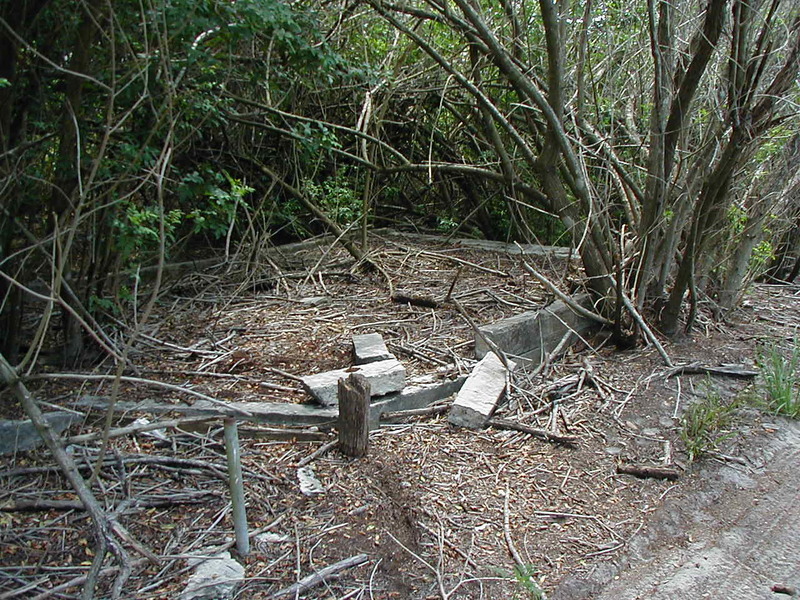 Previously discussed was the State of Florida, Tick Fever, Cattle Dipping Vats. I checked this morning and found pictures I have taken over the past several years of found dipping vats. The first three are vats taken near Kenansville, Fl on the Mills Ranch. 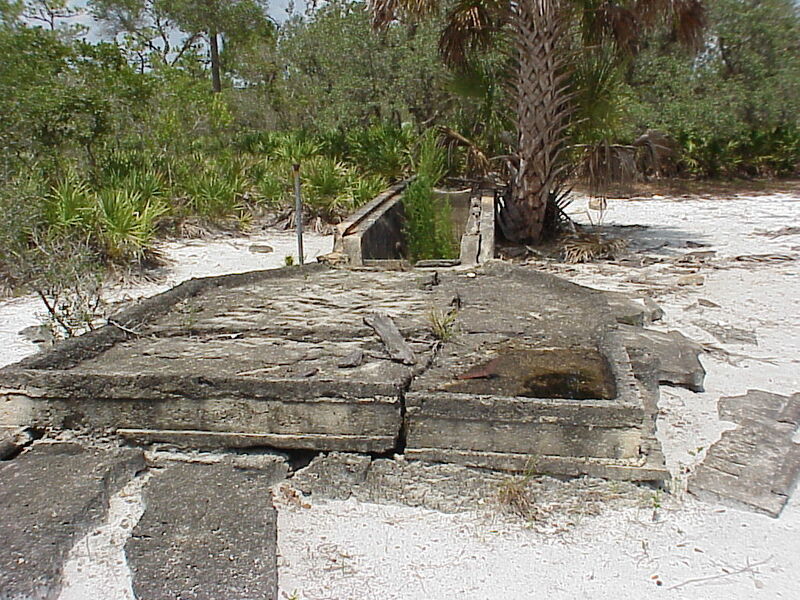 The last four are of a vat I found on Curry Island in Lake Okeechobee (see Map). 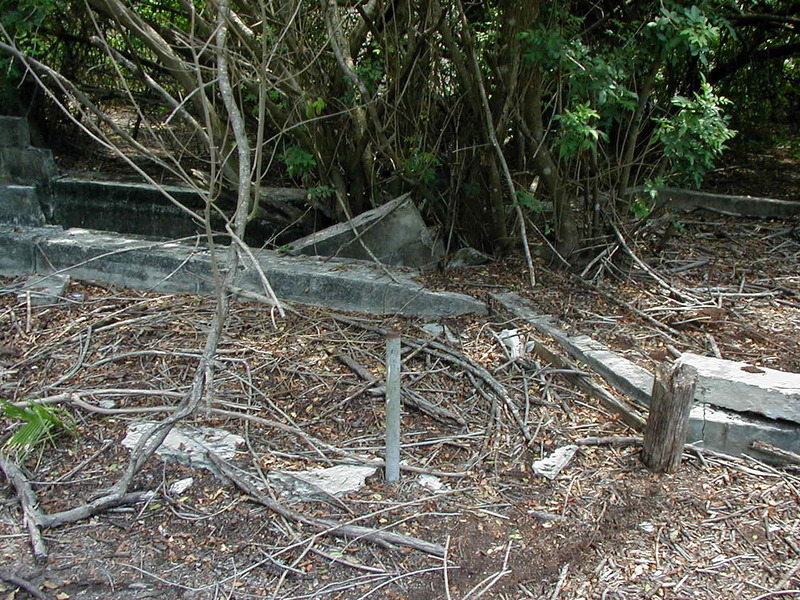 (We have talked about Curry Island several time before.) Remember, these were utilized at a time before fences were common and the "Open Range" was used by all cattlemen. Any rate, you will notice that the vat is constructed with one end a sheer drop (Cattle enter here) while the other has steps cast in the bottom for the cattle to climb out. The sheer drop was to ensure that when the cattle entered, they would go under and be covered completely by the dip. 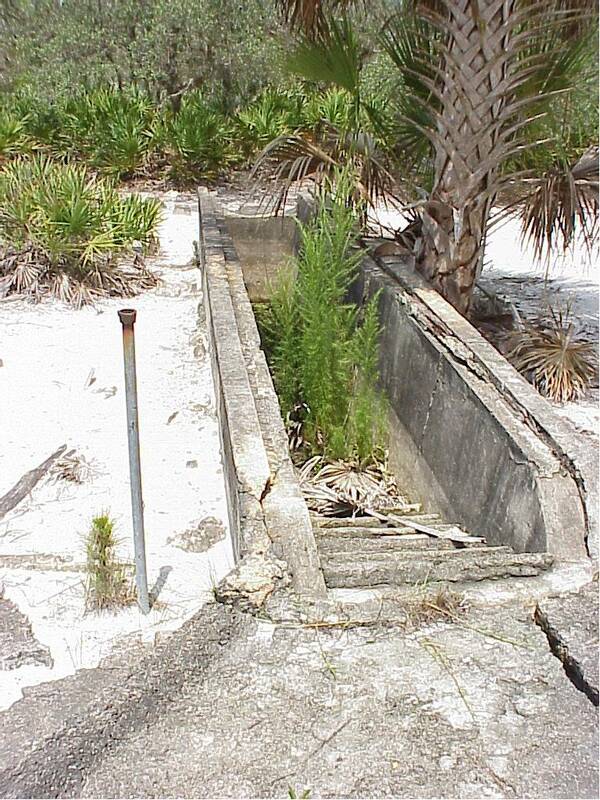 All that remains of these vats are the concrete drip apron and the pitcher pump well pipe. 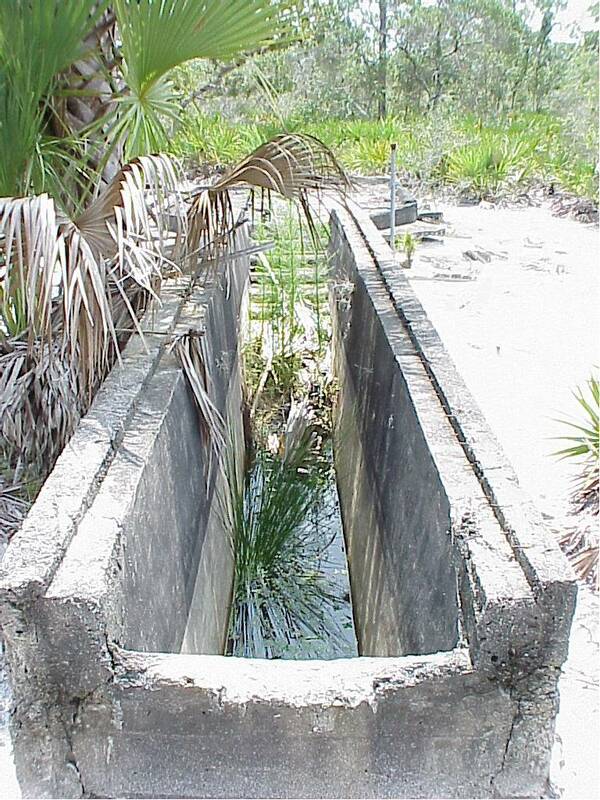 The vat had a coral and a series of "Pinch Fencing" on the entry end of the vat. This is where the cowboys would drive the herd into the open end of the "Pinch Fences" that would slowly constrict them into a holding pen. Once there, they would close a gate behind them and force them into and through the vat, one at a time, until a small group was collected and dripped semi dry to reclaim any excess dip that would drain back into the vat. You will notice a concrete apron deck built adjacent to the exit end of the vat. That is where the cattle would stand to drip off excess dip. 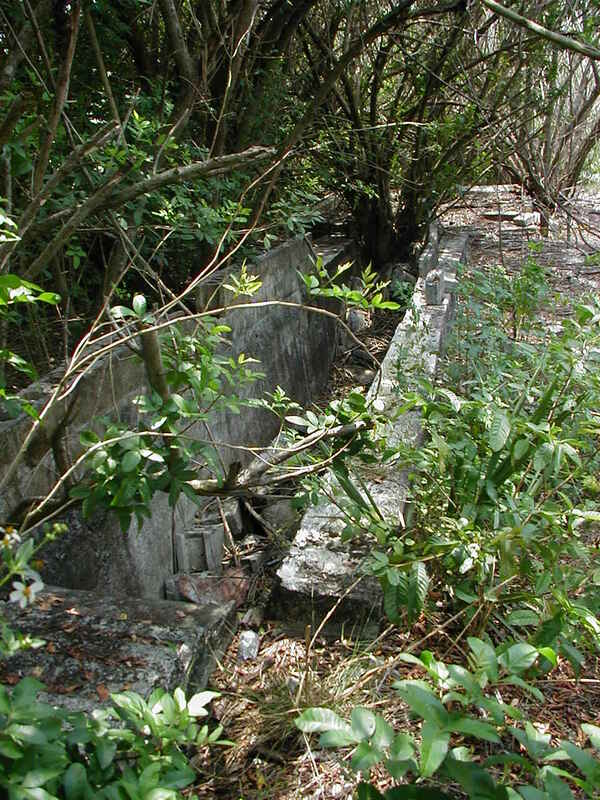 It was built to slope back to the vat for drainage. After the cattle drained the excess dip off of them, they were branded (if not previously branded), treated for wounds and other ailments (if they had the medicines) and then were released back into the open range to roam again until the next time they were gathered. Usually, after dipping the herd, the cowboys made camp and spend the night before moving onward the nest day to herd more cattle toward the next vat. You should also notice the pipe seen at both vats. The pipe was the well that, with the aid of a pitcher pump, would be used to refill the vat and for any other campground need. The State furnished the Arsenic laden dip. Unfortunately, it is said (I don't know how true) that some cowboys drank from the well that was tainted with the arsenic. The 1856 Ive’s Military Map was posted, a while back, attached are the memoirs that go with it. How cool is your job? Check out this site and the methods that they are using to complete their work. How would you go about surveying Mt. Rushmore? What do you think of the kite photography? Thanks to Mary Hanna Clodfelter, Mock Roos & Associates, Inc.
Why you dial before you dig? Provided by Jorge Alonso with FDEP. “A Land Remembered” by Patrick D. Smith published in the mid 80’s (I’d guess ’84 maybe). It is really a thinly veiled story of John MacArthur’s family. 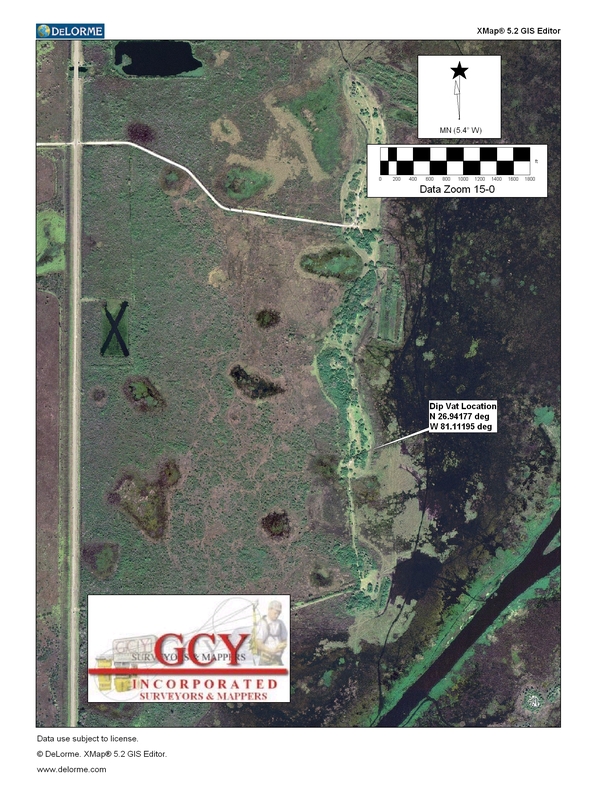 It describes in detail the cattle drives to Tampa and the gold payments and how that gold turned into the South Florida empire of the MacArthur Estates. 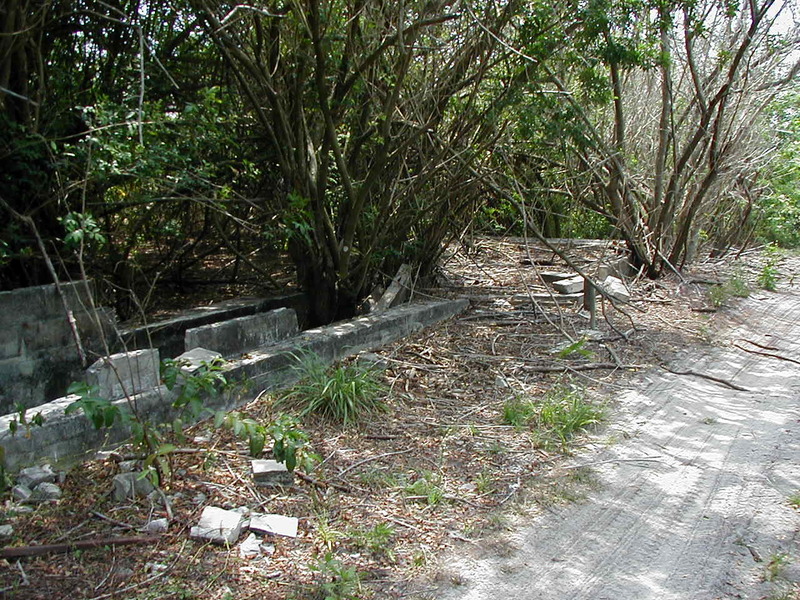 by Chappy Young, owner of the Palm City-based surveying and mapping firm GCY, been surveying in South Florida for 43 years. The Greatest Milestone: Biscayne Engineering Company in Miami Celebrates 110 Years.